The first time I saw Budapest, I almost missed it. I’d managed to bungle my flights and so on a day that I was supposed see the city, instead I was hustled onto an awaiting river cruise ship which promptly set sail. Bye Bye Budapest. So when an opportunity came up that featured a return visit,I made sure to build in time. I was not going to miss either Buda or Pest again. Budapest has been rising on travelers’ radar for a lot of good reasons. Physically, it’s beautiful. The Danube runs right through its middle landing Buda on one side and Pest on the other. Buda overlooks Pest from its green hills capped with palaces and superb views. Pest is where Budapest does its business. History hasn’t necessarily been kind to Budapest. It has survived an almost endless succession of wars, occupations, invasions and liberations. It was even attacked by Attila of “Attilla the Hun” fame. But the one that’s freshest in everyone’s mind didn’t end until 1991. The Russians took over after Hungary backed the wrong horse in World War II. The occupation began in 1944 and continued even after a 1956 uprising killed thousands and sent many more thousands fleeing to the west. This time around, the airline gods were with me and I arrived in Budapest on time–if not necessarily in the same time zone. First stop was my hotel. The Aria Hotel Budapest. Even if you don’t stay here, make sure you make at least one visit to this hotel. It’s housed in an old Insurance Company building right in the heart of Pest. Its creator, a man called Henry Kallan, who is Czech American, has a passion for music. If you don’t leave your room, you’ll miss the 130,000 Euro piano in the atrium-like lobby. Glass-roofed, it’s where you’re treated to breakfast every morning and wine and cheese every afternoon, gratis or at least as part of your room rate. 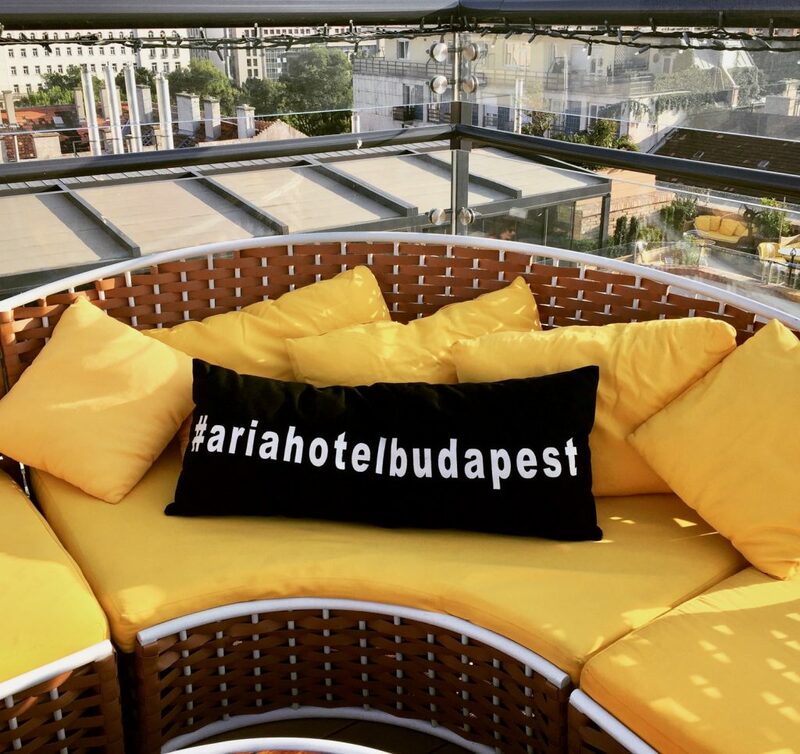 Take the elevator up to the city’s best rooftop bar, open year ‘round with spectacular views of St. Stephen’s Basilica. More on that later. Not the church, the bar. The Great Market Hall is usually mentioned as one of the top culinary destinations in Budapest. This enormous space was completely restored in the 1990s and gets high marks for the sheer scope of its offerings including lángos, Hungary’s version of Pizza—deep fried flat bread made with mashed potatoes and flour. But if you’re looking for a more local experience, I’d ditch the Great Market with its hordes of tourists. Close to St. Stephen’s you’ll find the Hold Utca market at Hold Utca 13, Budapest 1112. It’s a much more manageable size. It has the requisite copious amounts of fresh fruit and vegetables on the main level. The second floor is given over to plenty of food cart fare. Bang in the center of the ground floor is Stand25, a not-to-be missed bistro featuring the cooking of Tamás Széll. The chef was winner of the European Bocuse d’Or Award. It’s also a great place to sample Hungarian wines and handcrafted beers. Hungary makes great wines but not in quantities sufficient enough to leave the country. So quaff away here. Hold Utca 13, Budapest 1112. A short walk from Hold Utca, past the American Embassy, you can take in modern Hungary’s history in Parliament Square or if you’re looking for the sign “Kossuth Lajos Ter” in Hungarian. The Hungarian Parliament building may looks familiar. It was designed by the same architect as London’s Parliament Buildings. It’s a magnificent confection of a building during the day and lit up like a golden wedding cake at night. Facing Parliament is a grim reminder of 1956’s uprising. Each Large iron ball replaces a bullet hole marking the place where 2500 Hungarians were killed along with 700 Soviet soldiers in an 18-day uprising that ended with 200,000 Hungarians fleeing their country for the West. Happier things await once you cross the river to Buda. Unless you’re in spectacular shape, hop on a bus to go up the hill to the second spectacular church of the day. It’s Matthias Church, named for yet another Hungarian King, Matyas. He has the distinction of have been married in this church not once but twice. 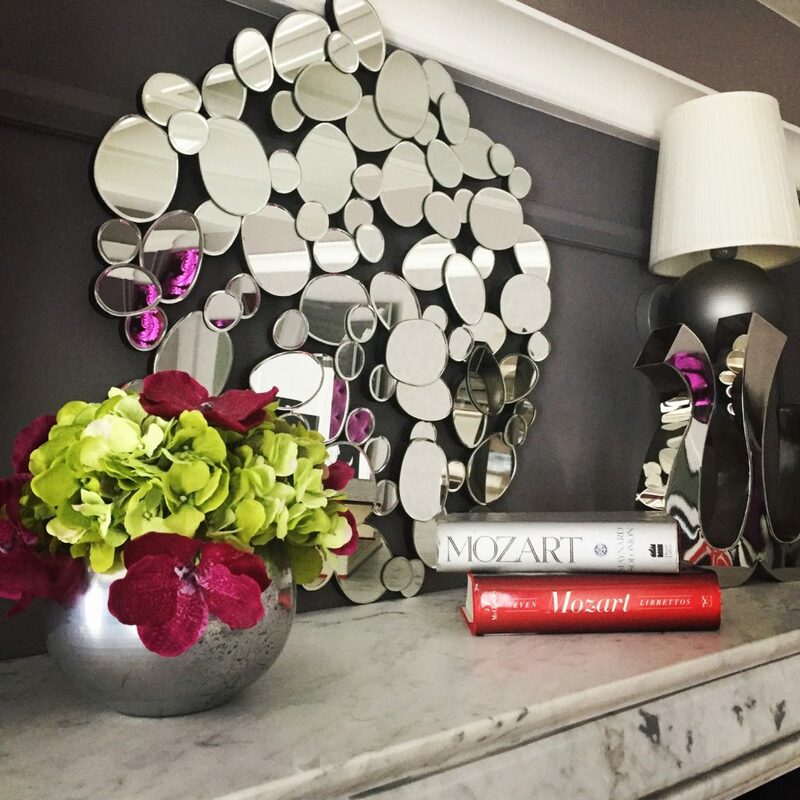 The first thing you’ll notice is the diamond-patterned rood tiles. Even if you’re not the church tourist type, don’t miss the interior where stencils cover every surface in the place. A bonus to this visit is that the church sits in front of the Fisherman’s Bastion. These seven towers represent the seven tribes of Magyars who settled the country in 895 AD. The views from here are among the city’s best with Pest laid out at your feet. You may be starving by now. For a break, it’s a very short walk from Matyas to one of Hungary’s best and oldest pastry shops, 200 year old Ruszwurm at Szentháromsag St 7, 1014 Budapest. The tearoom interior looks like it hasn’t changed since the place opened. If the weather is good, you can sit outdoors at their sidewalk café. From there, you can order their amazingly well-priced cakes, coffees or perhaps it’s time for a beer? Hopefully you’ll come with a friend or even better, a group of friends so that you can sample several specialties offered here. There’s the Dobos cake, likely right up there with Goulash when Hungarians abroad think of home. The recipe takes its name from confectioner József Dobos who baked the first one in 1885. Then there’s the walnut and cream Esterházy cake with its roots in Austria until it was appropriated by Hungary. But if you only have room for one cake, a square of the eponymous Ruszwurm Cream Pastry gives you some idea of why Ruszwurm is considered the best confectionary in the country. Just a short walk away from Ruszwurm, is Buda Castle, now home to the Hungarian National Gallery and The Budapest History Museum. Choose between one of those or visit the magnificent Castle Gardens which are a World Heritage Site all on their own. The National Gallery is a work of art itself and its collection of paintings, sculpture, drawings and prints bring Hungary’s vivid history to life. There’s also a sizeable collection of European masterpieces and rotating shows that have featured artists like Mexico’s Freda Kahlo. The Budapest History Museum focuses the turbulent 2000-year history of its hometown. But the building itself and its spectacular views of Budapest may be all the draw you need. This now Baroque palace has a history dating from 1265. The building closely resembling this one was first built between 1749 and 1769 in homage to Queen Maria Theresa of Austria. The palace was left in ruins after World War II. But it was put back together quite recently—between 2007 and 2013. Paris may lay claim to being the “City of Light” but a night in Budapest is not to be missed. The historic buildings are all brilliantly lit, from the Hungarian Parliament to Buda Castle to Matyas Church. 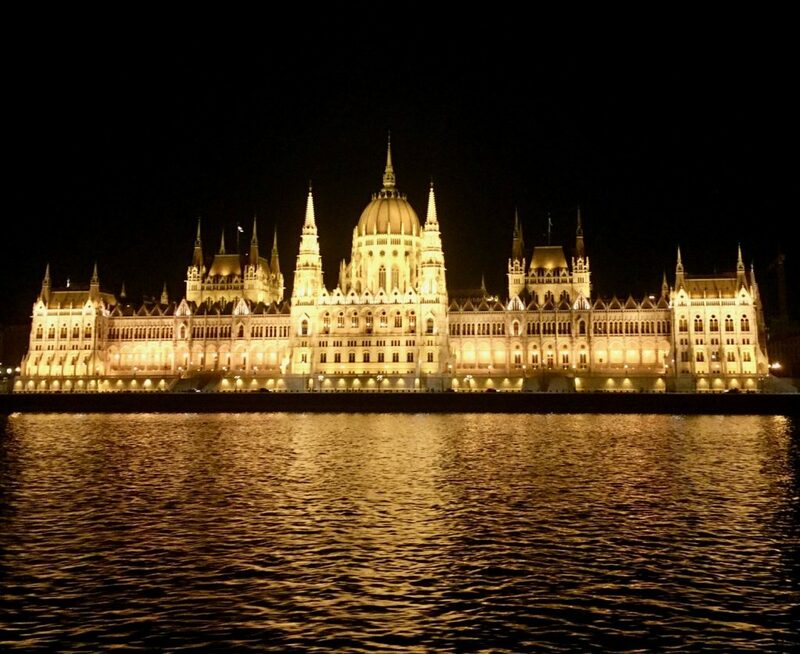 The best way to see the city at night is from the deck of a boat on the Danube. But if you’re not embarking on a River Cruise, you can find multiple river offerings some of which combine drinks and dinner or just drinks or even cruises with folkloric performances. These 1 ½ to 2-hour cruises take in all the sights while you sit back sipping wine and drinking in the incredible beauty of Budapest at night. We like to end our day just where started it—with a night cap at the Aria Budapest Hotel. The High Note Skybar is famous not just for its previously mentioned city views but also for having a Cocktail menu that’s paired with superb Bar Food options. “The Mixologists have on offer drinks like “Garden of Delights”, where Martini Ambrato vermouth is infused with Chamomile, blended with Elderflower Liqueur, Cherry Bitters, Citrus and Egg White. The food pairing? Cod Fritters—crisp bites accompanied by Chipotle Mayonnaise and Pickled Cucumber. Or if you’d prefer something sweet, the hotel’s Pastry Chef turns out a perfect Mango Mousse combined with Passion Fruit, Elderflower and dusted with Coriander. It’s paired with a drink called the Mirage: a glorious mix of tequila, sherry, agave, lime, bitters and guava. Cheers! Or as we say in Budapest “Egészégére!”. 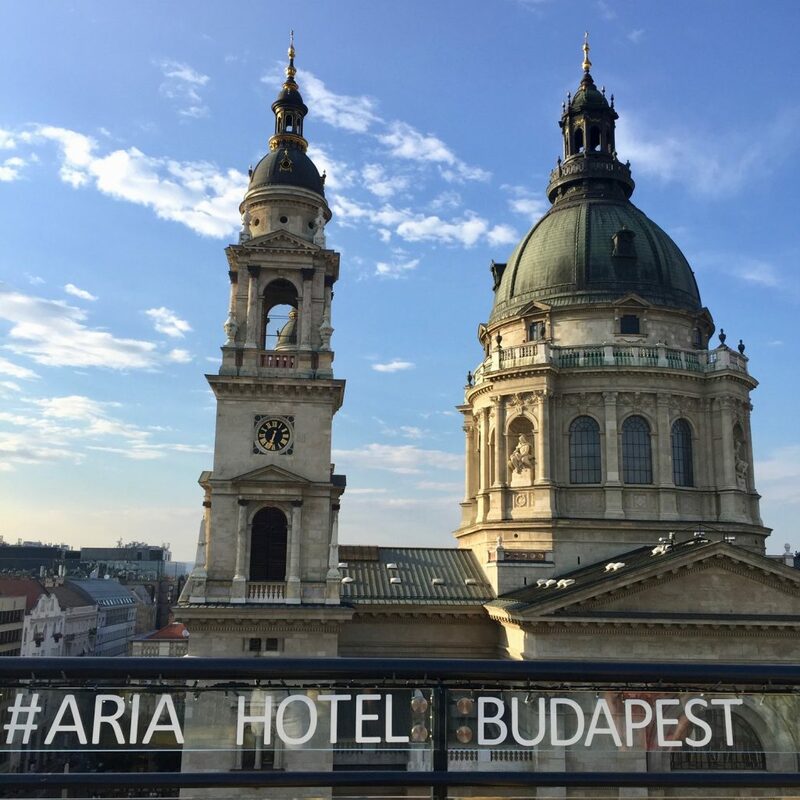 *A PORTION OF THE AUTHOR’S STAY AT THE ARIA BUDAPEST HOTEL WAS PAID FOR BY THE HOTEL.